Wow, the "World" cup for cricket is just around the corner - a few days away. I would compare it with the American Baseball "World" series - where teams from only the USA participate. So, how many countries play cricket? Yes, I know - too little to count. Hence, found this ad from Yahoo! interesting. 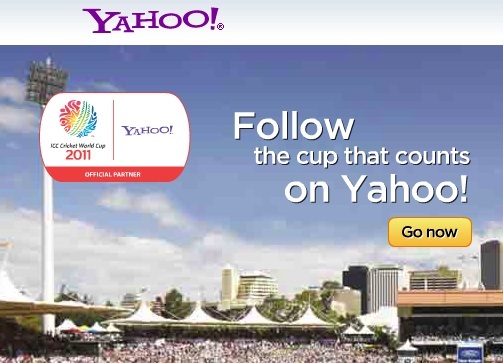 I read it as - Follow the cup that counts - the cup that can count how many countries participate in the "World" cup.